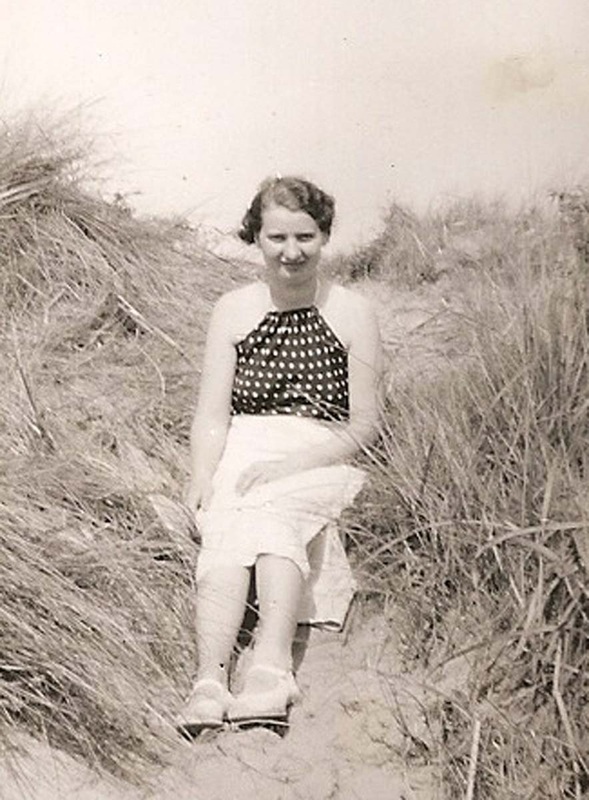 My Grandma, Lucy Hellard was born in Nottingham in 1913 to parents Walter Hellard and Alice Talbot. Lucy had a twin sister Phyllis, and older brothers Walter born 1905, and Alfred born 1898. 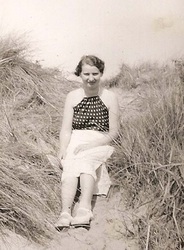 In her younger years the family moved to Aylesbury, but then returned to Nottingham where she lived in the Lenton Abbey area in the late 1920's and early 1930s. 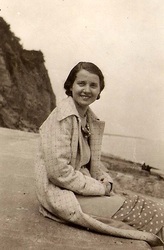 She took employment as a secretary, before she met and married Stanley Frank Wilson. In 1934 they married at The Holy Trinity Church, which was in Trinity Square, Nottingham (The church was demolished in the 1950s). They went on to set up home in Bakersfield, Nottingham, where they had two children. 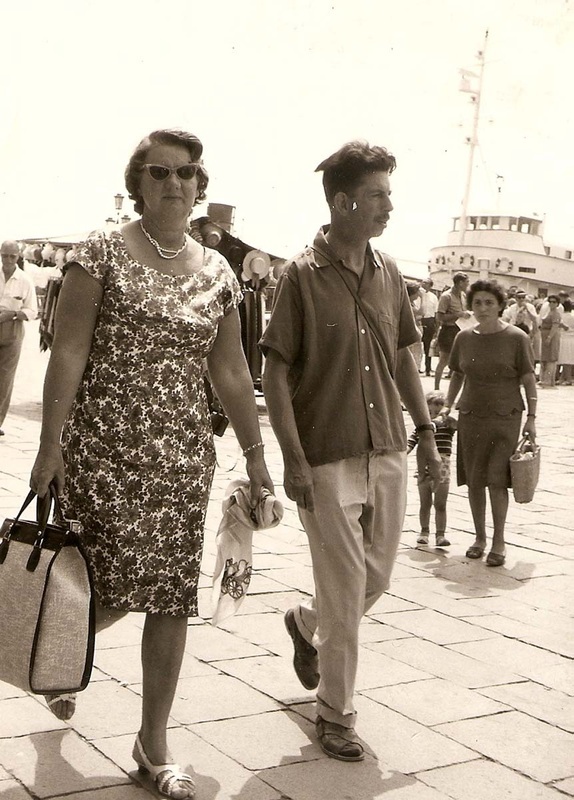 My grandpa, Stanley Frank Wilson had taken on his father's draper's business, and Lucy became involved in running the business, as she had a good eye for style. The business was based in Shelton Street, Nottingham, where they had many loyal customers. They then moved home to Gedling, where they enjoyed their retirement (despite grandma's ill health). 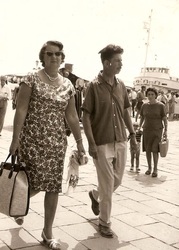 I remember her being well dressed (and quite chic -as noted in some of her holiday photos taken in Italy and France). Her auburn hair faded in her later years to a glamours blonde. Sadly Lucy died in 1984. Walter Hellard was born in Nottingham in 1875, to parents Edward Hellard and Mary Ann Miles. He had siblings; Elizabeth born 1869, Willie 1871, Mary Ann 1879, and Ada 1893. His childhood was spent living on North Ville Street, Nottingham. At the time of the 1891 census, age 16 he was employed as a fitter. 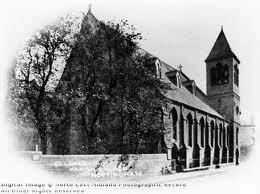 On 4 April 1897 Alice Talbot married Walter Hellard at St Lukes, in Sneinton, Nottm. (The church is no longer active. Formed as a parish in 1863, out of the parish of St Mary, Nottingham. Closed in 1924, and demolished October 1925). Within a year later their first son Alfred was born in 1898. By 1901 Walter and Alice had set up home in Keswick Street, Nottingham. Walter was employed as an Iron Turner, supporting his wife Alice and their son Alfred. His mother-in-law Lucy (Nee Huskinson), and sister-in- law Kate shared the house with them. Walter and Alice went on to have a son Walter in 1905, then twin girls in 1913 (Lucy and Phyllis). Walter frequently changed employment, and the family moved on numerous occasions, at one point living in Aylesbury. By 1928 the family had returned to Nottingham, and were living in the Lenton area. In this year, Walter's eldest son Alfred married Marion Dring, and set up home in Basford (Alfred was employed by Raleigh in Nottingham) . A couple of years later in 1930, his son Walter married Lillian Godfrey in the Mansfield District of Nottinghamshire, before moving to Halifax and commencing a career as a policeman. In 1934 daughter Lucy married Stanley F Wilson in Nottingham. 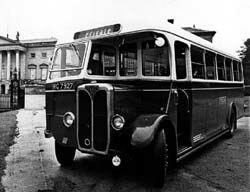 After his return to Nottingham ,Walter was employed as a conductor, then an inspector on Trent Motor Traction buses. In 1937 he is listed in Kelly's trade director as being resident at 30 Olton Avenue, Lenton as a Bus Conductor. By 1941 he had moved to Baslow Drive, in Basford. He spent the rest of his life in Nottingham where he died in 1948. Edward Hellard was born in Fordington, Dorchester in 1842 to parents John Hellard and Jane Fudge. He was the 4th of 9 children, and in his early life was raised in Mill Street, Fordington. Thomas Hardy's narator gives a detailed description of the very poor housing situation in Mixen Lane (Mill St, Fordington). 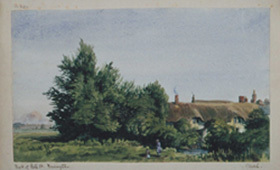 "Mixen Lane was the Adullam of all the surrounding villages. It was the hiding place of those in distress, in debt and in trouble of every kind. Farm labourers and other peasants combined a little poaching with their farming, and a little brawling and bibbing with their poaching found themselves soon enough on Mixen Lane. Rural Mechanics to idle to mechanize, servants too rebellious to serve, drifted or were forced into Mixen Lane." "Much that was sad, much that was low, some things that were baneful could be seen in Mixen Lane. Vice ran freely in and out of certain doors in the neighbourhood; reckless dwelt under the roof with the crooked chimney; shame in some bow windows; theft (in times of privation), in the thatched and mud walled houses by the sallows. Even slaughter had not been altogether unknown here. 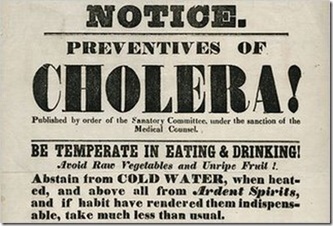 In a block of cottages up an alley, there might have been erected an alter to disease in years gone by." By 1861, Edward had moved with his family to Holloway, Fordington, and had found work as a cloth cutter. No doubt his wages would have supported the family, including his younger siblings. 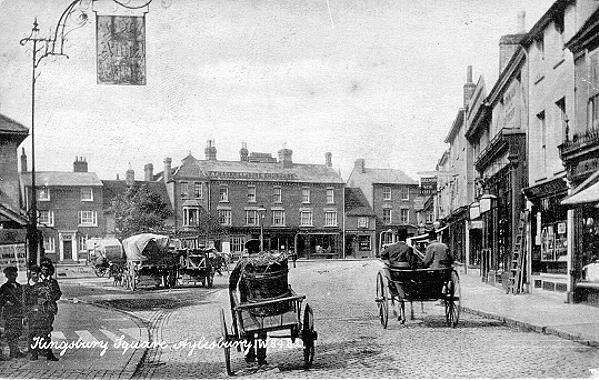 Edward went on to marry Mary Ann Miles in Dorchester in 1867, and he and Mary set up home on the notorious Mill Lane, in Fordington. Edward took employment in the local Iron Foundry, and had children Elizabeth born 1869, and Willie born 1871. 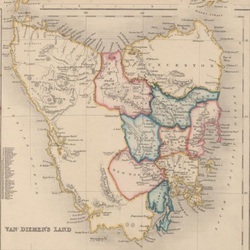 Shortly after the birth of Willie, Edward moved north to Nottinghan (most likely seeking a better life). It appears Edward and Mary set up home in North Ville Street. After settling in Nottingham, Edward and Mary had a son Walter in 1875, followed by daughters Mary Ann in 1879, and Ada in 1883. At the time of the 1881 census, Edward was employed as a labourer. In 1890 his oldest daughter Elizabeth married John Spurr (an Insurance Agent). At the time of the 1891 census, Edward and his sons were in employment, Edward worked as a "smith", Willie worked as a lace maker, and Walter worked as a fitter. A few years later in 1894, his son Willie married Hannah Taylor, after his marriage Willie continued his career as a lace maker. In the summer of 1897 his son Walter married Alice Talbot. A few months later, his wife Mary Ann died age 58, leaving him to raise daughters Mary Ann (age 18) and Ada (age 15). By 1901 he lived at Forest Street, Hyson Green, Nottingham, and was employed as an engine driver. His daughter Mary appeared to be keeping the house, whilst Ada had found employment as a Hosiery Machinest. Mary got married during the summer of 1901, and Ada married in Frank Lee in 1909. Edward died in 1921 in Nottingham. John Hellard was born on 25 March 1811, at Fordington, Dorset to parents John Hellard and Hester / Esther (nee Bishop). John was the eldest of their 8 children. In 1833 John Hellard married Jane Fudge at Dorchester, on the 9th September. Both John and Jane were living in the Dorchester parish at the time of their marriage. Witnesses to the marriage were Ann Lovelace and Joseph Stroud. In 1836, their son Henry was born , Louisa followed in 1838 (being baptised on 29 July at Fordington), then Elizabeth in early 1841. At the time of the 1841 Census, John lived with his wife and three children at Cuckolds Row, Fordington. John worked as a Carpenter. I think Elizabeth died in the summer of 1841, only a few months old. Edward Hellard was born in 1842, followed by a second daughter named Louisa in 1845, Esther in 1849, and Eliza in 1851. By the 1851 census the family were living on the notorious Mill St, Fordington. John supported his family working as a carpenter, and his son Henry had work as an errand boy. In 1854 Elizabeth was born. 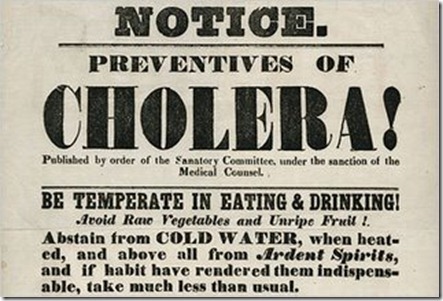 It was also the time of a Cholera Outbreak in Fordington. Their son George was born in 1857 was christened on the 12th September, and then died on the 28th of the same month . I can find no further mention of his eldest daughter Louisa after the 1851 census. Their son Henry left the family home in 1860, when he married Hannah Puckett in the Weymouth District of Dorset. Henry took on his father's profession as a carpenter and moved to Ealing, Middlesex. Henry and Hannah had 8 children. At the time of the 1861 Census, John and his family lived at Holloway, Fordington. John was working as carpenter, in addition some of his children had now gained employment, with Edward working as a cloth cutter, and the younger Louisa working as an outdoor servant. 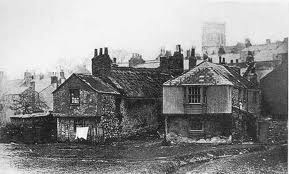 In 1867, Edward left the family home and married Mary Ann Miles, after the birth of two children, he moved the family to Nottingham in the early 1870s. At the time of the 1871 Census, John and Jane still lived at Holloway in Fordington. John continued working as a carpenter to support his family, although only Louisa and Elizabeth were still living at home, however 3 of his grandchildren Walter, George and Arthur are now living with him (These are Louisa's children, who appear to have been born out of wedlock). In 1876, daughter Esther married Benjamin Hanney (a Blacksmith) at Weymouth, where they lived until the mid 1880's. Esther and Benjamin then followed her older brother Edward and set up home in Nottingham. Two years later in 1878, daughter Louisa married Charles Dufall (a groom and coachman) at Weymouth. Charles takes on Louisa's youngest child Arthur, and they set up home in Melcombe Regis, Weymouth. Charles died in 1900, leaving Louisa a widow. In 1879, daughter Elizabeth marries Edwin Way in Dorchester. 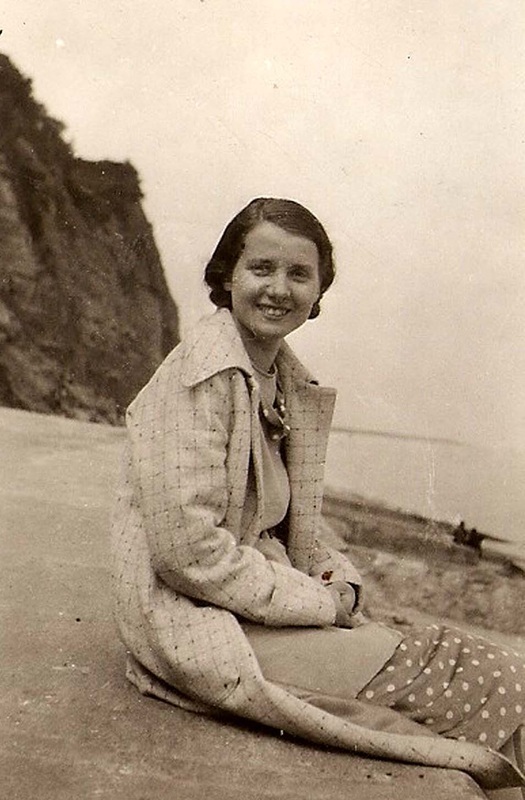 Eliza has also left the family home and takes up a career as a servant / maid working in the Dorchester / Weymouth areas. In the 1881 census, John still lived at Holloway, Fordington, and worked as a carpenter. Living with him is wife Jane, and grandchildren Walter and George. John died in Fordington in 1890 age 79. John Hellard was born on 23 April 1786 at Fordington, Dorset, to parents John Hellard and Ann Lucas. I believe John was the 4th child. 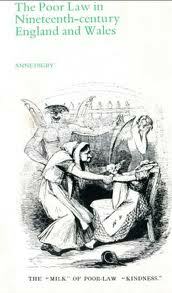 On 15th April 1810, John Hellard married Esther (or Hester) Bishop at Fordington. Their 1st child John Hellard was born in 1811, being baptised at Fordington on 25 March 1811. William was born in 1813, and baptised at Fordington on 29 August 1813, followed by Henry in 1815 (baptised 24 May 1815), George in 1817 (baptised 6 Dec 1817), Maria in 1820, Mary in 1822 (baptised 3 Nov 1822). In 1825 they had daughter Elizabeth, who was baptised at Fordington on 8 May 1825. She died a few months old on 27 November 1825. 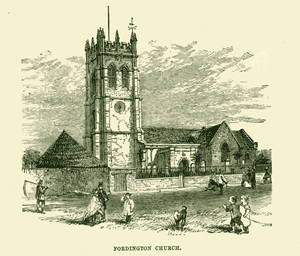 By 1828 the family had moved to Dorchester, and a removal order was issued for John, Hester, Henry, George, Maria and Mary to return to Fordington. A removal order is typically made by the justice of the peace, to send poor people back to their parish of settlement for maintenance. It appears eldest son's John and William had already left the family by 1828. 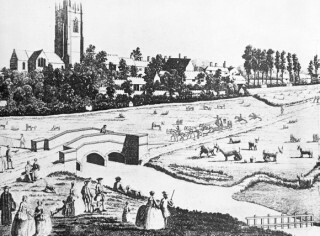 The Old Poor Law was a parish based system, there were around 1,500 such parishes based upon the area around a parish church. 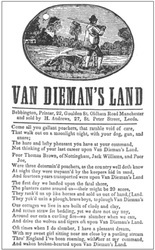 Settlement Laws were altered by the Removal Act 1795 which prevented non-settled persons from being moved on unless they had applied for relief. In 1831, the couple had their 8th child Edmund at Fordington. He was baptised on the 19th June 1831. The same year, their elder son William was sent to trial in Dorchester for "House Breaking". William was acquitted. John's eldest son John married Jane Fudge in 1833, and started a family. 1835 saw the birth of a grandson (Robert), from their son William. The following year on 17th Jan 1836 , William married Emma Jane Whittle at Fordington. William was sent to trial again on 10th March 1837 for Larceny (Larceny is the "taking and carrying away of tangible personal property of another by trespass with intent to permanently (or for an unreasonable time) deprive the person of his interest in the property). He received one month imprisonment. 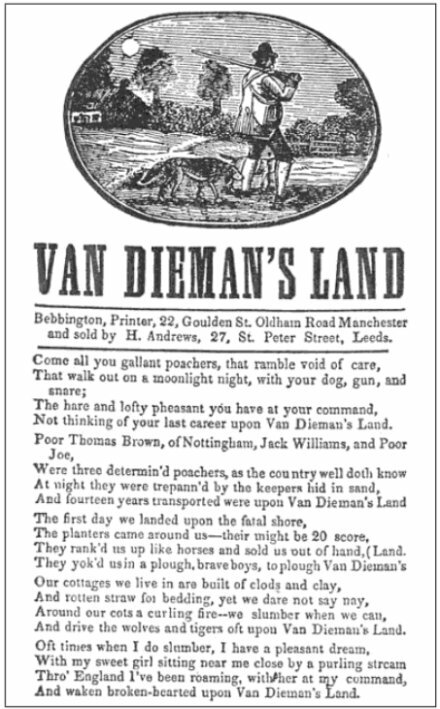 William went on to have two more children, Elizabeth and Betsy, before he was sent to trial yet again on 15 April 1842 for felony ( The term originates from English common law where felonies were originally crimes which involved the confiscation of a convicted person's land and goods; other crimes were called misdemeanors). For this crime he was sentenced to transportation, and on 10 August 1842 he was transported on the ship Moffat to Van Diemens Land. This left Emma to raise their 3 children, and she took on work as a tallow chandler. In 1843, daughter Mary married Joseph Loder, a carpenter from Mill St, Fordington. They did not have any children. John Hellard died at Holloway Row, Fordington on 13 Dec 1843. John Hellard was born in 1754 at Fordington, Dorset, to parents John Hellard and Mary Bishop. He was baptised at Fordington on 25th August 1754. On the 20th January 1778, John (of Fordington) married Ann Lucas at Charminster. (Charminster is a village just 2 miles north west of Dorchester) . It was likely Ann was heavily pregnant at the time of her marriage, as in March 1778 their son John was born. He was baptised on the 8th of March, but died a week later on the 15th March 1778. A daughter Mary was born in 1779 (and baptised at Fordington on 1st August 1779), followed by Elizabeth in 1782, John in 1786, and William in 1792. It is possible they had more children, who I have not been able to trace. John Hellard died in 1828, age 74, and was buried on 27th October at Fordington. John Hellard was born about 1728 at Fordington, Dorset. On 25th July 1745 he married Mary Bishop at Fordington.